I've really been enjoying writing these Makeup Collection Posts recently and you have seemed to have enjoyed them so I though I'd continue on and show you my blusher collection. You might have noticed that this is part 1. Yes, I have so many blushers that I have to split it into two parts, oops! I definitely need to get rid of some but I find it difficult to part with pretty blushes, even if I don't use them that much! In this first part I'm going to show you nearly all of my powder blushes and then cream blushes and other powder blushes/highlighers will be in part 2, tomorrow! I bought these beauties from fragrance direct for only £1.99 each a little while ago (currently sold out!) and I'm so glad I fell to the hype! 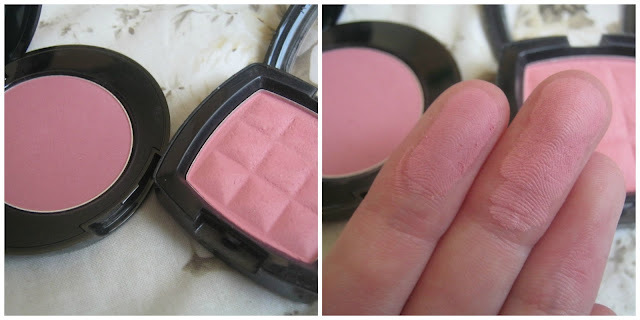 They are really soft but pigmented blushers and the shades are gorgeous! 004, which I think is called you are my sunshine, is a stunning sunset gold and orange shade! 003 looks scary and boring but I love it! 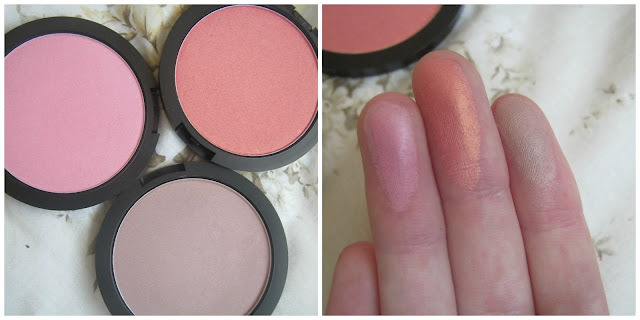 Sleek make some of the best highstreet blushers out there! As you can see by the swatches they are so pigmented and feel really soft, my brush picks up the product really well though. Both shades have a gorgeous shimmer to them, eliminating the need for highlighter. I find these last all day on me as well, I really fancy picking up one of their blush palettes next! 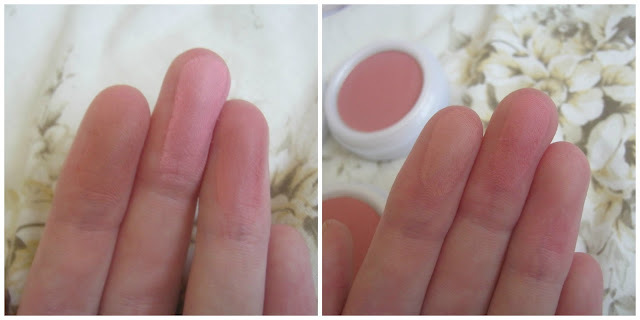 This is a blusher that I love but strangely don't reach for that much. It's a lovely soft pink shade with gold shimmer running through it. 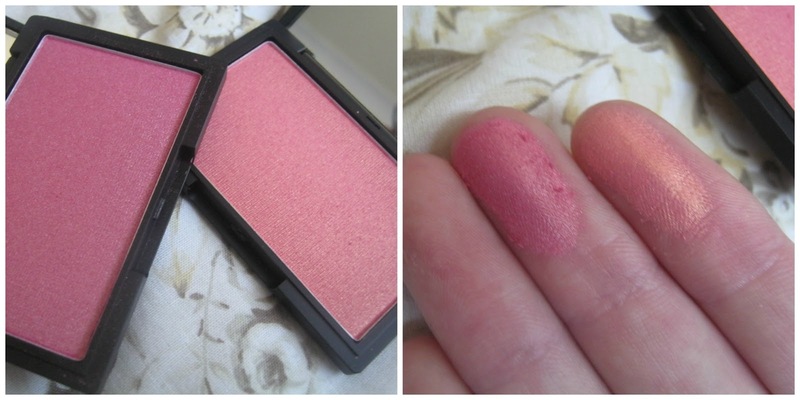 It generally is a really lovely blush to use, I wouldn't pay £8 for it though but when it is half price, like it is now, I think the price suits it better! 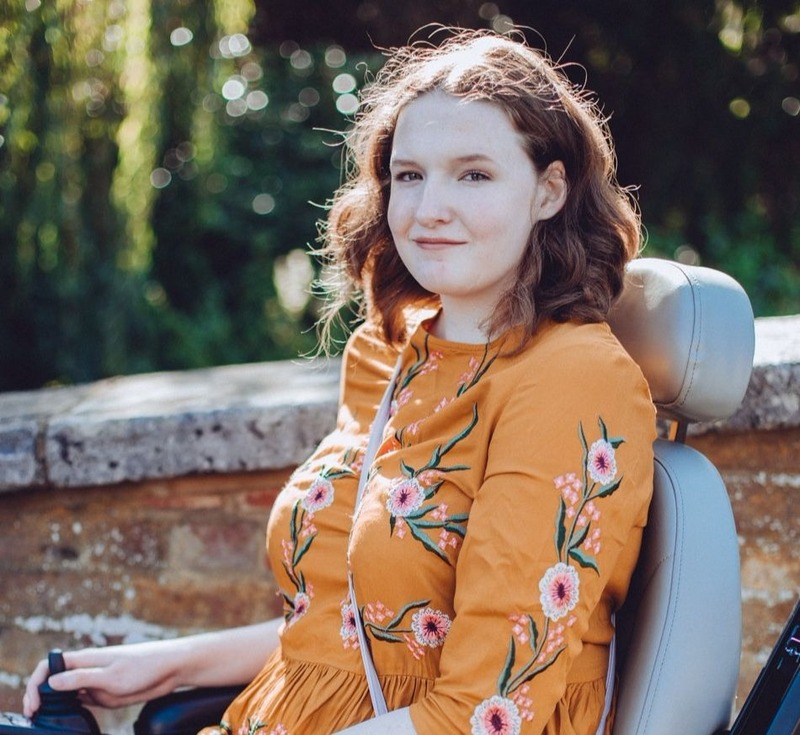 I mentioned this in a post just a few days ago, it is a big favourite of mine at the moment! It's a dusty pink shade that looks really soft on your cheeks. It's pigmented but easy to work with so there isn't a chance of you going over the top with the blusher with this one! I've had this NYX Blusher for a little while now and it is one of those products that I keep on going back to! 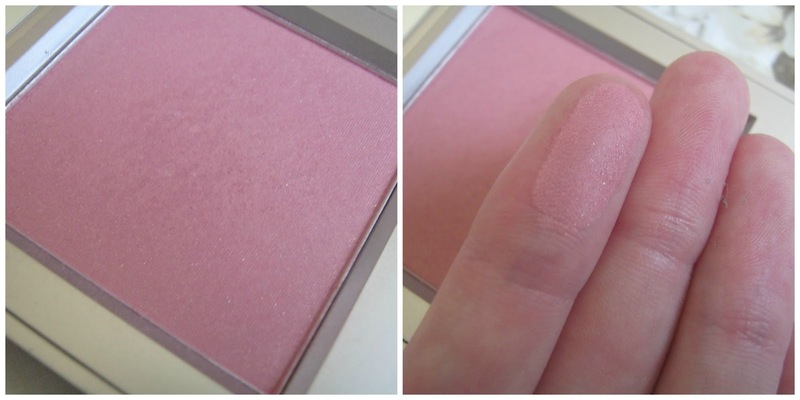 This shades gives my cheeks a natural glow and takes me away from the usual pink blushers I go for. It does has some pink tones in it but it is a lovely peachy shade! These blushers are so cheap and cheerful! They aren't the most pigmented blushers I own but I don't tend to use too much blush so they are perfect for me. They are all matte as well! Looking back I didn't need all 5 shades, I'd recommend you pick up Peach Melba and Pink Cloud! That's it for part 1, look out for part 2 tomorrow! Sleek Rose Gold and Dainty Doll 004 look gorgeous!